I’ve been growing brag-worthy onions in my garden for a few years now, and every time I post photos of them I get a ton of question. 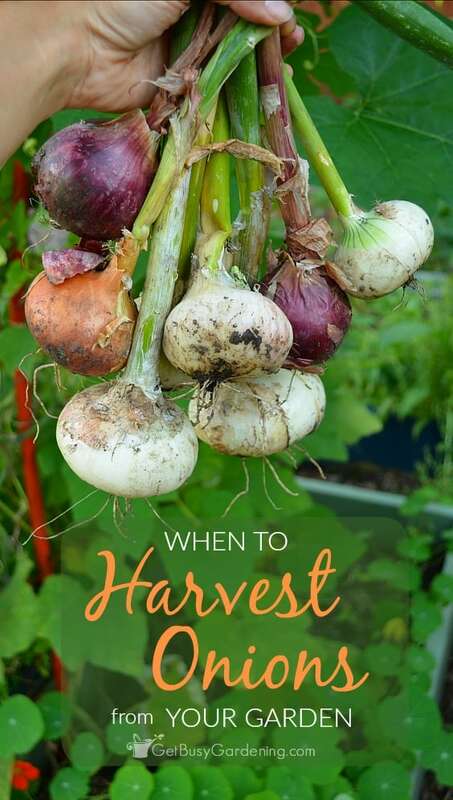 One of the most common questions is, “How do you know when to harvest onions?“. This is a great question because it’s not something that’s obvious when you grow onions for the first time. Well, I have some great news for you. 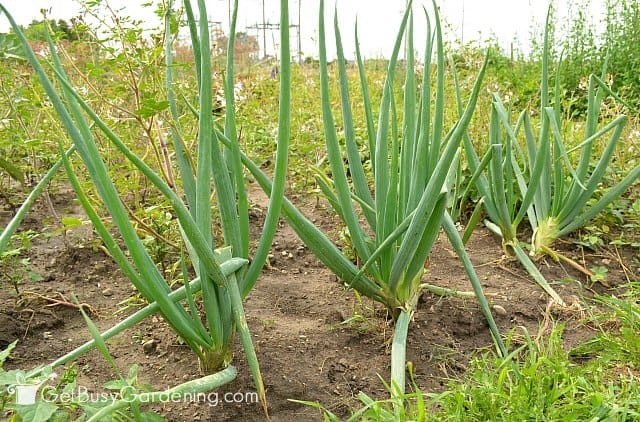 Onions are pretty much the lowest maintenance vegetable you can grow in the garden. There is no magic time they must be harvested, onions are super laid back and pretty much cool with… whatever. Yep, you can harvest onions pretty much any time you want. Onions are edible at any point, no matter how small they are. 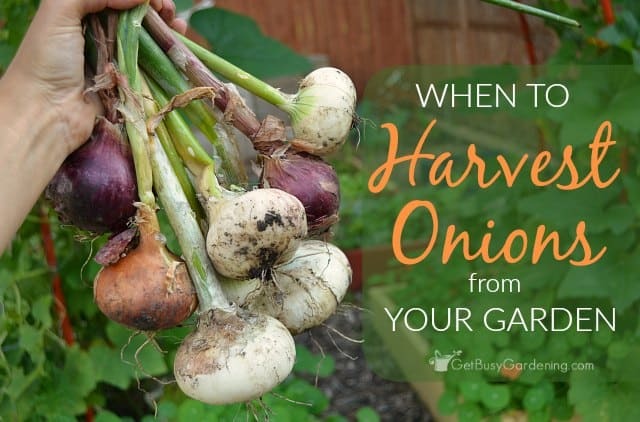 You don’t have to wait until they are “ripe” to harvest them, you can harvest onions as you need to. So, if you need an onion for a recipe, simply pluck it out of the garden whenever you want. 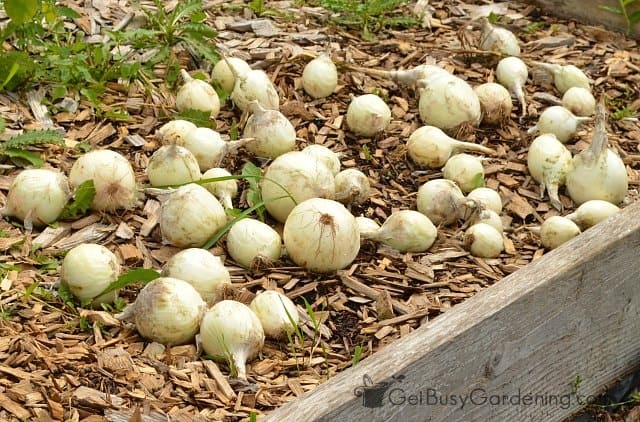 Even though you can harvest them at any time you want, there is an ideal time to harvest onions – especially if you want them to grow as large as possible before you harvest them. The best time to harvest onions is after the stem has fallen over on its own. This is a sign that they’re done growing and a ready to go dormant. Sometimes onions will start to flower before the stem falls over. If that happens, then harvest that onion and use it right away. You don’t want to allow your onions to bloom because that will steal all the energy from the bulb and you won’t be able to eat it. One of the great things about growing onions is that after the stem flops over, you don’t need to harvest them right away. You can leave them in the garden until YOU are ready. 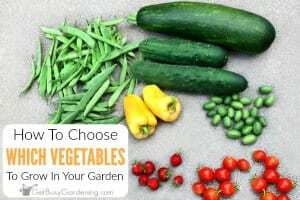 That really helps take the stress out of harvesting the garden, because so many other vegetables need to be harvested as soon as they’re ready or they could to bad. As long as your garden stays fairly dry anyway. 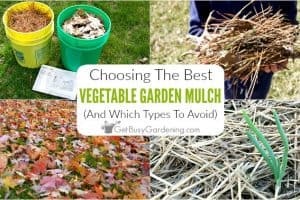 If you get a lot of rain, or your garden is really wet, then you shouldn’t wait too long to harvest them or they could rot. 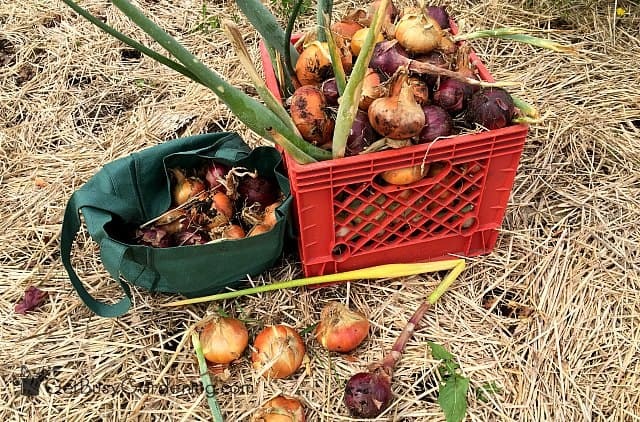 Harvesting onions is as easy as just pulling or popping them out of the ground. 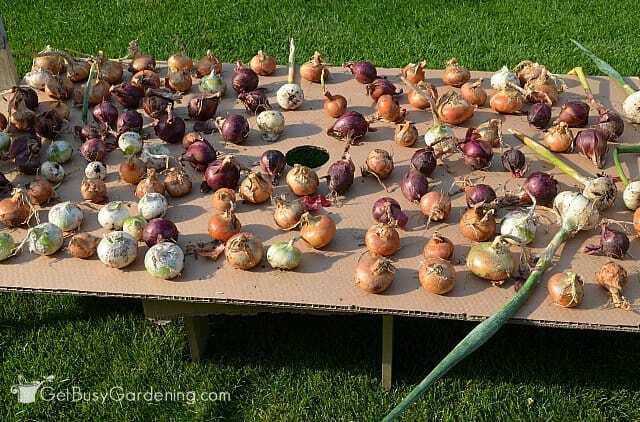 If it’s dry enough, you can simply pop your onions out of the ground and let them sit there for a day or two. Then move them into a garage or dry basement for several days or weeks to allow them to cure (dry out). Onions should be dry before you store them, or they could rot/mold. If any of your onions are damaged or are showing signs of rot, then you’ll definitely want to use those up first rather than trying to store them. Don’t worry, onions are pretty hardy and won’t be bothered by frost. 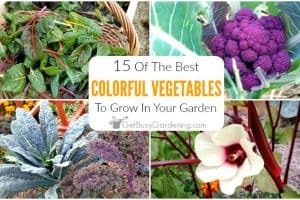 So you have plenty of time to get them harvested before the cold fall weather comes. Heck, we even had one onion survive our bitter cold Minnesota winter last year, so they are pretty hardy (though I wouldn’t recommend leaving them out that long, haha). Harvesting onions is easy! It’s so nice to know that you don’t have to rush to get them all harvested at once, and then figure out what to do with all those onions. Knowing when to harvest onions will ensure you will have the largest, healthiest onion harvest possible from your garden. 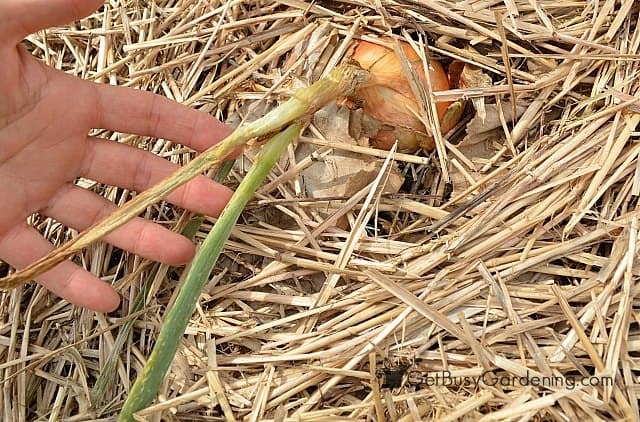 Do you have any tips to add to help other gardeners determine when to harvest onions from the garden? Please share them in the comments below. I got my onion and shallot sets in a bit late and as a result some grew nicely and others no so nicely. But all in all they were worth planting. Onions are something you cook with almost every day and next year I intend to expand my plantings of them. That’s exactly why we started growing them too! 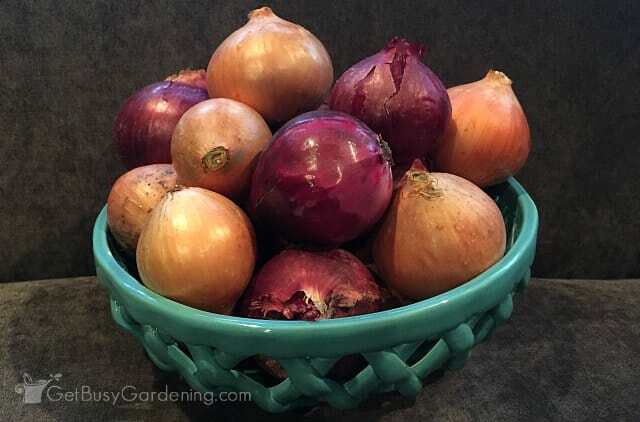 This was the first year I grew onions in my garden and while mine didn’t grow as large as yours, I was still able to get a few good ones to use. I’ll definitely be trying again next year. Thanks for sharing this on Merry Monday. Glad to hear you got some, hope they’ll do better for you next year. Thanks for stopping by! We haven’t ventured into onions yet, but I appreciate your tips when we do! 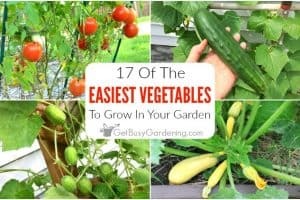 Knowing when to harvest the food is the hardest part! Your posts look like they would be perfect for the Waste Less Wednesday Blog Hop. Check it out! Last winter I covered my carrots and parsnips with foot and a half of mulched leaves. I was able to harvest them right until the end of February. Could I do the same thing with onions? You could certainly try it! 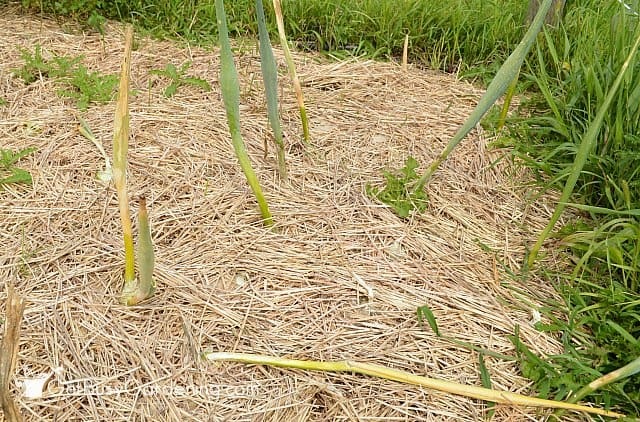 I’ve had onions survive the winter in my Minnesota garden under a thick layer of straw (accidentally!). It’s always fun to experiment.